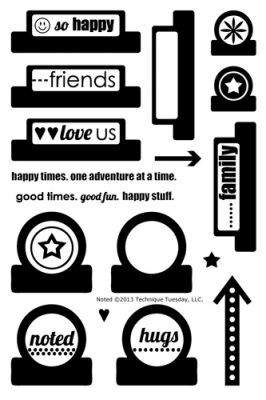 This Acrylic Stamp Set has an assortment of Label Stamps to help you Document your Craft Projects. Acrylic Stamp Block is NOT included. Stamp Set by Technique Tuesday.